Poor NHS Care for UK Patients suffering Heart Attacks? What more can be done to reduce deaths following heart attacks in the UK? 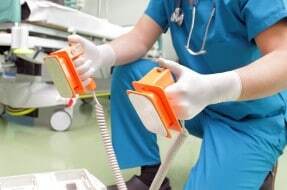 A study published in the Lancet, and widely reported in the news recently, compared treatment provided to patients following heart attack in both the UK and Sweden and the results showed that a higher percentage of patients in the UK died following heart attack than in Sweden. The study confirmed findings of research into the quality of care and outcomes for patients requiring treatment for heart conditions over a 7 year period between 2004 and 2010 in the UK and Sweden. Both countries have similar health systems which is free to patients at the point of delivery. Both countries also have national guidelines for the management of heart attacks. 7.6% of Swedish patients died. One of the most staggering statistics suggests that if the UK provided the same care as available in Sweden then just over 11,000 deaths from heart attacks could have been avoided or delayed. In Sweden there is a higher uptake of patients having procedures such as stent placement or balloon angioplasty and a faster introduction of other new treatments. In Sweden there was a higher rate of patients being prescribed medications such as beta-blockers following discharge from hospital. It is noted that the UK is providing improved care compared to previous years, which is encouraging, but that more work is still required. Commentators on the study say that the key to the UK improving their treatment further is to introduce pioneering new treatments quickly and on a larger scale. As medical negligence solicitors we are contacted by patients or members of their families to investigate allegations of poor NHS care before, during or after a heart attack. They often have concerns either that not enough was done to investigate symptoms of heart disease and provide treatment accordingly which could have prevented a heart attack, or that not enough was done after they suffered a heart attack to prevent further problems and the patient has suffered significant injury as a result and in the worst cases the patient has died. We hope that the research will prompt further work in this area to improve the treatments available to patients following heart attack and reduce death rates accordingly. If you have any concern about treatment you or a loved one have received following a heart attack then please contact me or one of my colleagues for further advice.